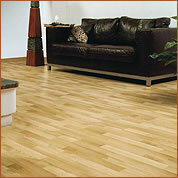 The beauty of a laminated floor is that it’s so easy to lay and looks so stylish. It’s also very comfortable to sit on. At Potters Bar Flooring, we have an exceptional and varied choice of colour tones and styles for you to choose from. Today’s laminate floors are created using a photographic image of wood, marble, or tile that is bonded to fibreboard, backed with melamine plastic and coated with aluminum oxide, this is considered the second hardest mineral after diamonds. This process allows the laminate surface to be almost indestructible, stain-resistant and also fade-resistant. 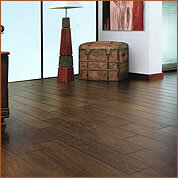 Due to the durability of laminate wood flooring, it is a smart choice for dens, playrooms, and even dining rooms. It’s also easy to care for too. Simply dust with a dry mop, wipe with a damp cloth, and/or vacuum with a soft brush attachment.